NBA 2K is all set to release their 18thgame version of the series, and everybody is already excited about it. The first game of the series was launched 17 years back from now in the year of 1999, and since then it has come a long way and now it has become one of the most awaited games of the year. The NBA 2K18 is developed by Visual Concepts and published by 2K Sports. The official release of the game is just a few months away, and a sky-high expectation has been set by the NBA game lovers. Last year when the 17th edition of the game i.e. NBA 2K17 was released, it had become a huge success for the franchise. The fans were happy with the realistic approach of the match. So now as the release date is approaching nearer, only time can say, how much expectation the game can fulfill in future. The NBA 2K series generally comes around the second half of every year around the month of September or October. This time also, there is no exception. The official release date has already been announced by 2K. NBA 2K18 is going to be released on September 19, 2017. The game is available on various platforms like PS3, PS4, Xbox 360, Xbox One, Nintendo Switch, and PC. The pre-ordering of the game will start from 15 September, 2017. This time, the Hall of Famer NBA Shaquille O’Neal will be on the cover photo of NBA 2K Legend edition game. Shaq has appeared many times on the cover photo of NBA 2K game series. But this is the first time where he would be the face of Legend version. There will be two variants of the version. The Gold version has Shaq with the Lakers, and the regular one has Miami Heat on the cover. The official price of the game is not yet announced by 2K. This year it is expected that the NBA 2K18 will be much bigger than the previous one as we might see the use of more advanced technology into the game. This time there will be more prominent and realistic feature. So naturally, the price of NBA 2K18 is also expected to be higher from the previous one. NBA 2K17 was available in $59.99 in the market, and the deluxe version price was $99.99. 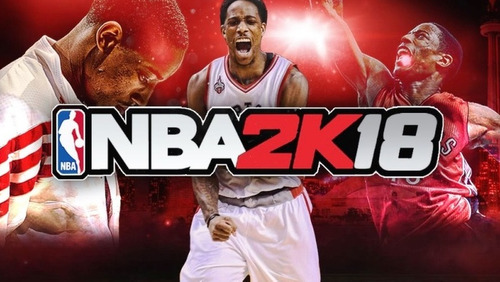 It is expected that the price of NBA 2K18 will be $79.99, while the deluxe edition of the game may cost around $119.99. NBA 2K series games have already become one of the most popular sports games along with FIFA and WWE. With the grand release of NBA 2K18, it is expected that NBA series is all set to break new records in the video game universe.